Published on 28 November 2012. These pouches of soup have been in the bottom of my bag for well over a year now. I bought them after a run of days when, for various reasons, I didn’t manage to get out of the office for lunch. Since I’ve bought them, it’s only happened once, which is why I still have most of them in the bottom of my bag…! 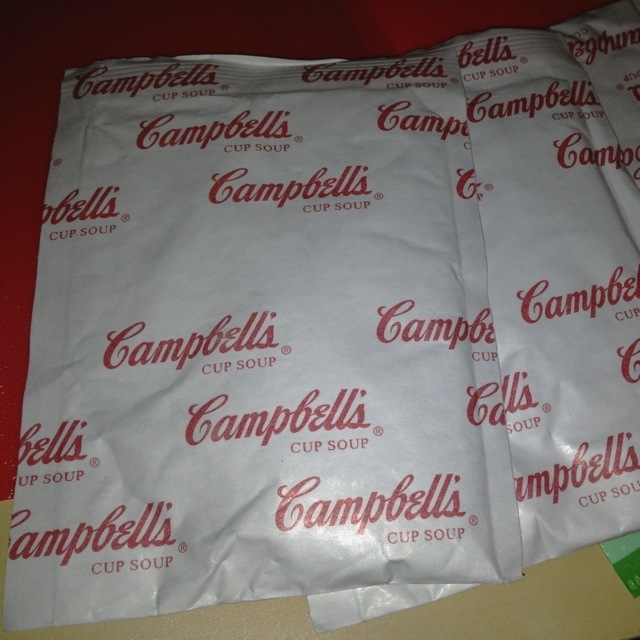 On the basis of this (admittedly rather limited) evidence, I conclude that the purchase of dried Campbell’s soup guarantees you time to eat lunch. Buy some today! This 1,908th post was filed under: Photo-a-day 2012.